A comprehensive study of requirements, a well articulated requirement specification and a marvelous work of engineering may fall short of customer expectations. The fact that the product addresses the requirements does not necessarily mean that it meets market expectations. Poor success rate of new product launches worldwide is a clear indication that doing your homework right might not just be good enough for success. While the truth is that nothing can guarantee success, there are some simple steps that will help you increase your success probability. 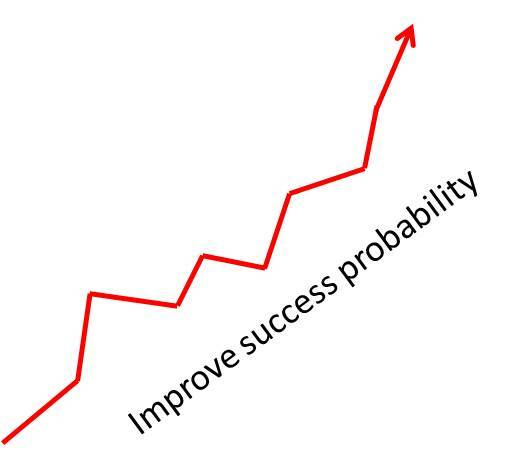 Statistics speaks out loud on high failure rates of new products launches and if following some simple stuff increases your success probability, why take a chance by skipping some simple but powerful steps. One of the possible ways to improve success probability of your product is to take it to small set of your target users ahead of time, let them use it, feel it, take it to its limits and contribute via feedback. Taking a product to a selective set of users who are ready to put in time and efforts to use the product and provide feedback is very critical to a product’s success. By this, you ensure that your target market gets a glimpse of your product way before they put their money to buy it, you set expectations with your prospective buyers about the product and its features, and if there is a gross mismatch between their expectation and your product then you have some time to correct it before you go for a formal product launch. Pilot projects are a good way to sense the user sentiments and their willingness to pay $s for your product. A small investment of money, time and people will help not only in improving the adoption rate of your product but also limit your loses. Cost of failure is often too high both in terms of dollars and brand reputation, in this context pilot projects can be viewed as minimal cost of failure. Pilot projects are very useful when it comes to predicting feasibility, acceptability, risks and mitigation. The outcome of a pilot project also helps in getting project sponsorship and executive approval. It is a great instrument to take a sign-off from the user community, sponsors, stake holders and yourself. Having or not having a pilot project is a no brainier, a wise product owner should definitely argue in support of pilot project for every major product release and for new product releases. This entry was posted in customer, Pilot Project, Product Launch, Product Management and tagged product launch, product management on February 14, 2013 by Abhay.